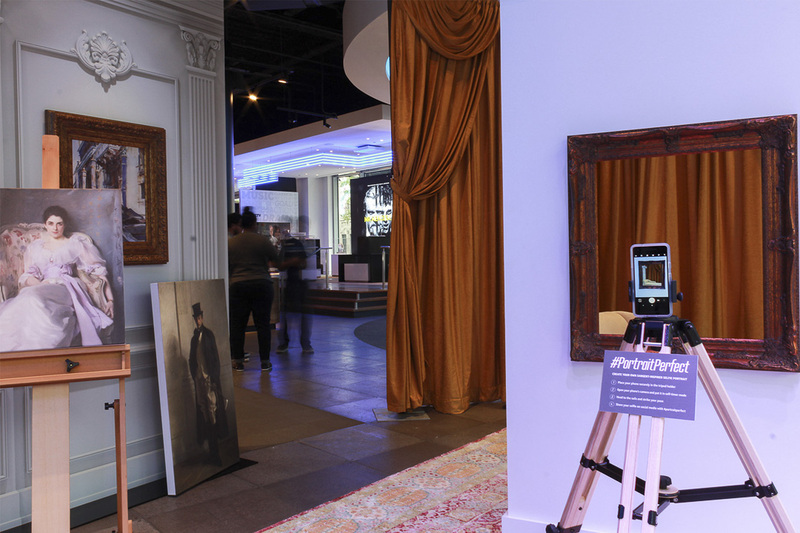 What if we could… time travel into a 19th century portrait studio? You’re on Michigan Avenue in Chicago. The Magnificent Mile. You’re in the heart of a modern American metropolis – upscale retailers, gleaming mixed-use skyscrapers, and thousands of people, many of them more captivated by their smartphones than their surroundings. But as you stroll down this busy urban boulevard, you notice that the shop windows seem to belong to a different age, the Gilded Age. Mannequins usually draped in this season’s couture are instead dressed in luxury clothing and lavish jewelry; instead of inventory displays, there are oil paintings. 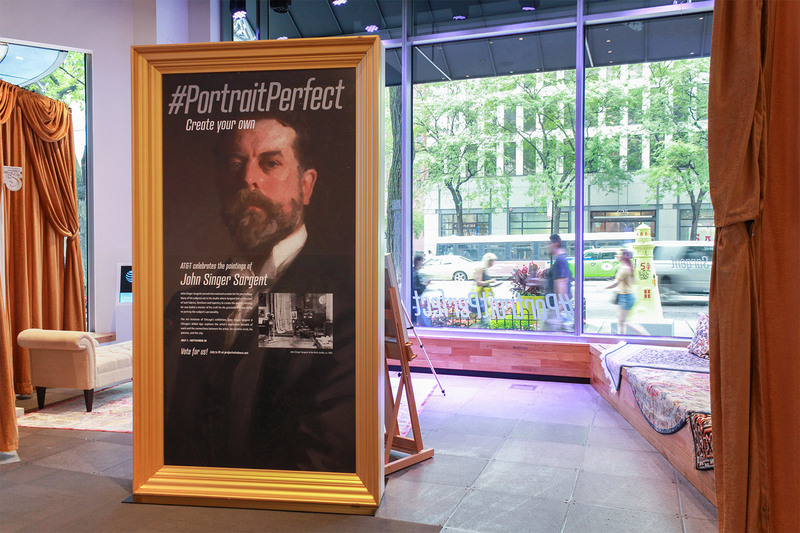 And instead of showcasing the technological wonder of the latest mobile devices, the window of AT&T’s flagship store has been transformed into the studio of famed American portraitist John Singer Sargent. 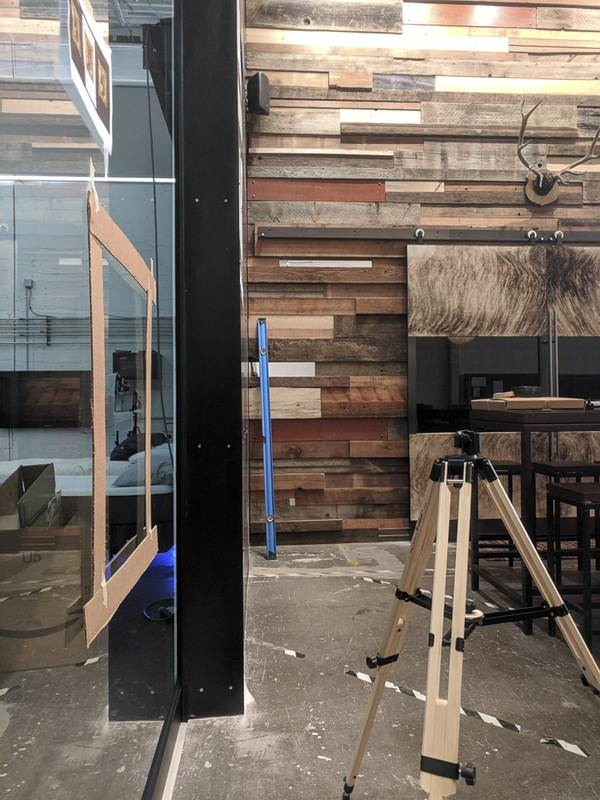 The impetus for this time-travelling experience was the annual Project Windows design competition, which encourages the merchants of Michigan Avenue to inspire their window displays with the Art Institute of Chicago’s featured exhibition. This summer the art of John Singer Sargent and Chicago’s Gilded Age graced both the museum’s halls and the retailers’ displays. 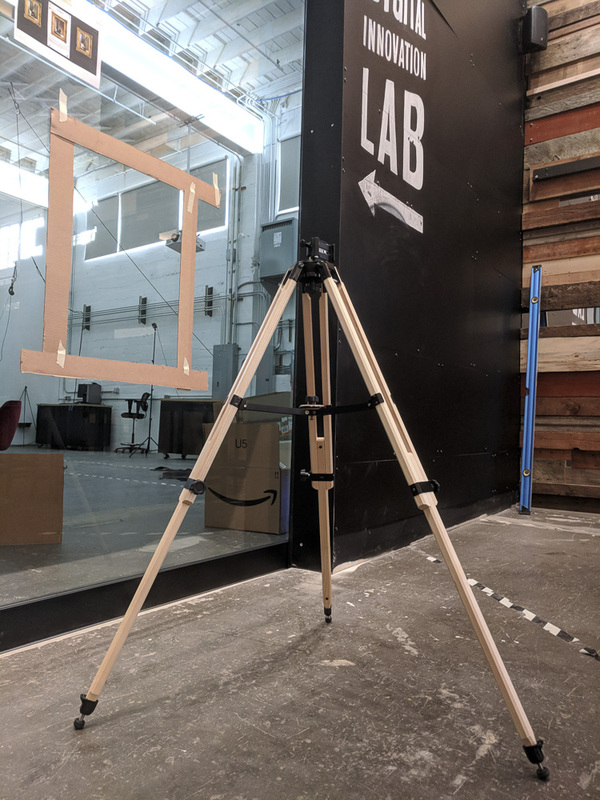 Replacing the canvas, paint, and brushes with 21st century technology. Sargent was one of the most sought-after artists of his generation—renowned for the skill of his portraiture as he was for his process. Extravagant tapestries, furniture and pillows lined his studio, evoking an opulence that complemented his socialite subjects and drew out their personalities. 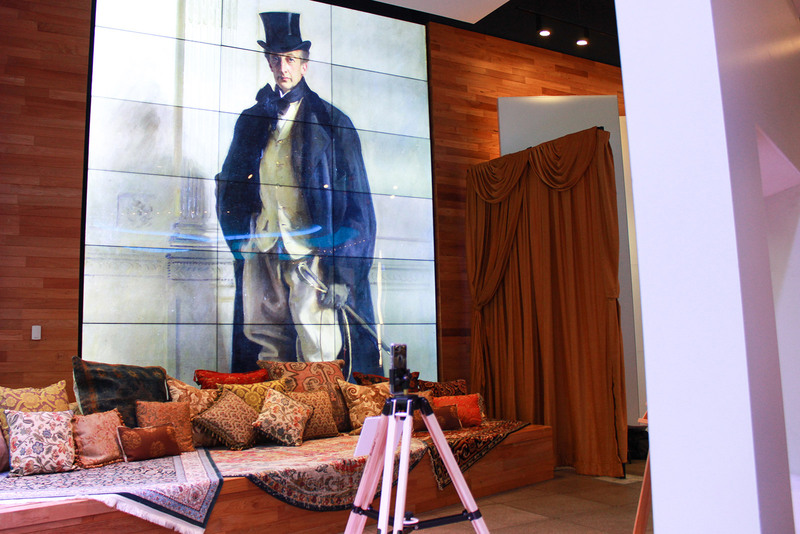 We wanted to give people a tangible sense of his 19th century studio. 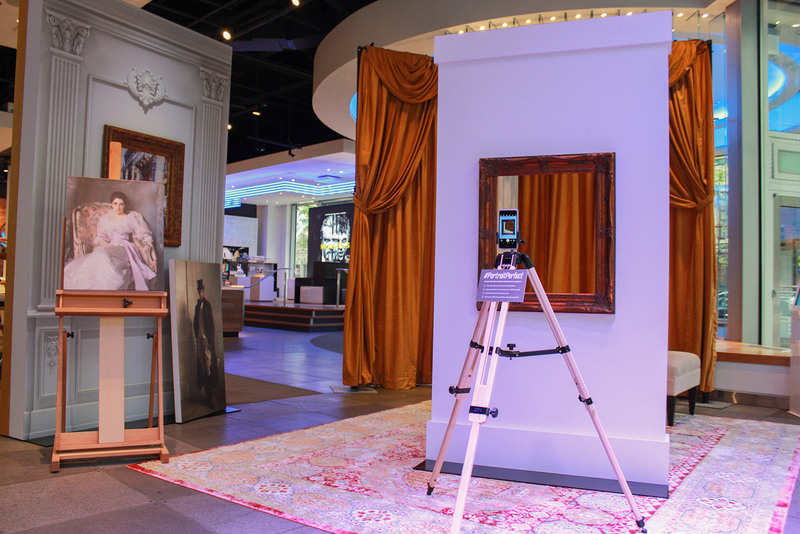 But because AT&T is a leader in 21st century communication, we married the unique in-person experience of the recreated studio with a distinctly digital component—replacing the canvas, paint and brushes with the mobile phone. Our design team assembled the essence of Sargent’s studio: columns, paintings and curtains; a couch filled with pillows and tapestries for passersby to sit and relax; his most famous works on an interactive screen. 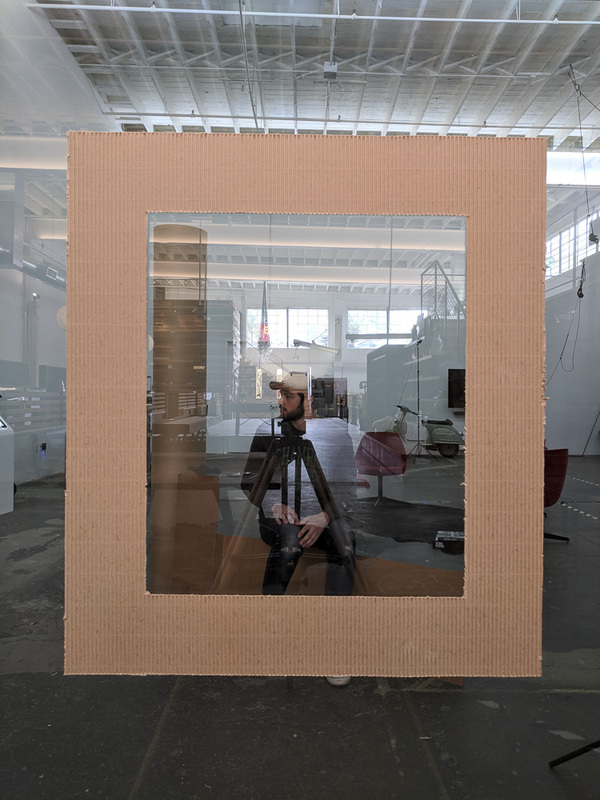 By lining up a smartphone holder on a tripod with a floating wall and frame, we were able to force the perspective of a digital “portrait” for users sitting on a strategically-placed chez lounge. 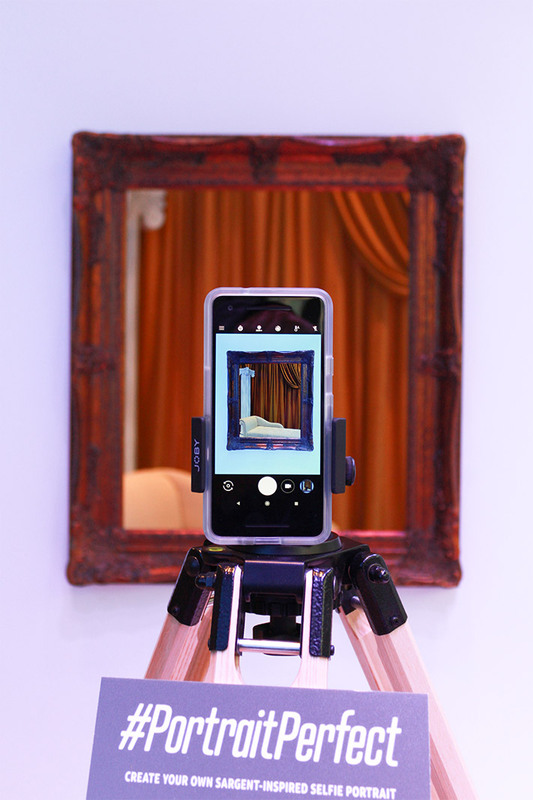 The combination of the period-authentic physical elements and the central technological capability of the mobile phone generated #PortraitPerfect moments for everyone who interacted with AT&T’s window display. As a result, AT&T was voted the “Most Engaging” display. And that’s something we hope John Singer Sargent would be proud of.